The year 2018 marks eighty years since publication of John Dewey’s classic work Experience and Education. For many people living in the twenty-first century, 1938 seems nearly as remote as Biblical times. For those attuned to contemporary educational trends and to earlier voices, much “new” thinking bespeaks a re-discovery of the wisdom of John Dewey. Today’s Jewish educators struggle with a very basic question posed by Dewey: “How shall the young become acquainted with the past in such a way that the acquaintance is a potent agent in appreciation of the living present?” Put otherwise, in the context of Jewish education, how does interaction with Jewish experience speak to the life of a given learner? The act of communicating information that in no way relates to students’ lives in the present cannot, Dewey suggests, be considered educative. Reflecting, eighty years ago, on differences between “new” education and more traditional approaches and methods, Dewey pointed to such contrasts as cultivation of individuality rather than imposition from above; learning from experience rather than solely from texts and teachers; and acquiring skills as a means to attaining vital ends in the present rather than for some remote future purpose. From project-based learning to experiential education, and from child-centered education, generally, to an emerging focus on students’ flourishing (through Jewish education) in the world, ideas expressed by John Dewey have, it seems, been discovered anew. In an age in which “new and innovative” approaches are, commonly, more valued than ideas of the past, “re-discovery” of the value of experiential learning is, surely, a positive development. With Passover on the near horizon, socio-drama, mastery of skills associated with home-based, family (seder) rituals, and preparation of food – for consumption and for thought – are visible at Jewish schools and households across the globe. 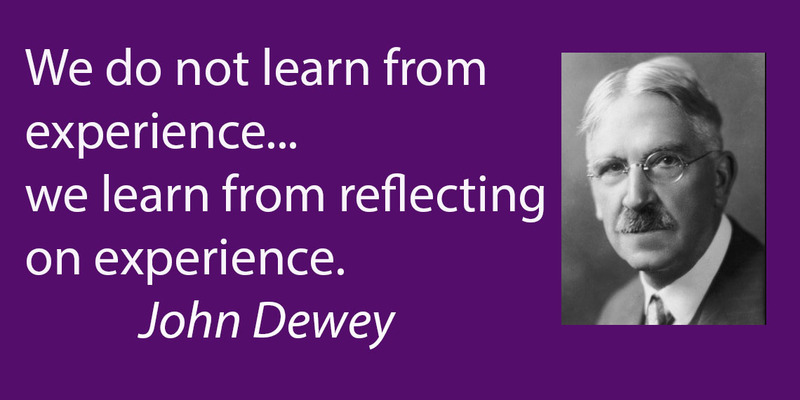 Come to think of it, perhaps Dewey was not the first to emphasize the power of experiential learning.